This post is building off of part 5 so if you missed that you might want to read Ruth: An Interpretive Study Part Five first! Otherwise, you might become lost…. So, continuing the story now! Naomi and Ruth enter into Bethlehem and the women of the town greet Naomi (Ruth 1:19b). Naomi shows her outlook on her situation when she charges the women to not call her by Naomi any longer. She feels that the LORD has dealt bitterly with her, so she charges the women to call her Mara (1:20-21). Naomi does not find that her name has any meaning to it after the calamity that she has gone through. She gives the credit of this calamity to the very hand of the Almighty, who brought her back to his people (1:21). Both Naomi and Ruth return during the beginning of the barley harvest, so the LORD has already started to bless them when they return with the possibility of attaining food (Ruth 1:22). Naomi had desired to return to her homeland because she had heard how the LORD visited his people and given them food (1:6). Now, as she returns, the LORD is still blessing his people with the opportunity to harvest their barley. This is where a worthy man enters the picture, who just so happens to be a relative of Naomi’s husband and the owner of a portion of land (2:1-3). Ruth sets out to practice her right to glean in the fields of Bethlehem as allowed by the command in Deuteronomy 24:19 (Ruth 2:2-3). Ruth would definitely fall under all three categories of the law pertaining to gleaning. When the Israelites were reaping their harvest they were charged by the law to leave any forgotten crop for the sojourner, the fatherless, and the widow (Deut. 24:19). She was an alien in the land of Bethlehem; she left her family in Moab to come to Yahweh’s blessed land and she had no husband. If anyone had the right to glean in any field of Israel, it was Ruth. So, Ruth goes out to the fields to glean, but not just any field. She happens to be gleaning in the field of Boaz, the worthy man of the clan of Elimelech (2:3). Boaz takes notice of Ruth gleaning in his field and questions the man in charge of the reapers concerning her (Ruth 2:4-7). He is informed that she is the young Moabite woman who returned with Naomi from the land of Moab (2:6). She has been gleaning all day with little rest from her work (2:7). At this point, Boaz would recognize the name of Naomi as the widow of his dead relative. He might not necessarily jump to the conclusion as his role as a kinsman redeemer, but he still offers his protection to Ruth (2:8-9). Ruth does not understand why Boaz would look upon her with such favor since she is a foreigner (Ruth 2:10). She might not have comprehended the law pertaining to gleaning, but Boaz shows how worthy a man he is by obeying the law. He fulfills the law and explains why he does so to Ruth saying, “All that you have done for your mother-in-law since the death of your husband has been fully told to me, and how you left your father and mother and your native land and came to a people that you did not know before” (Ruth 2:11). 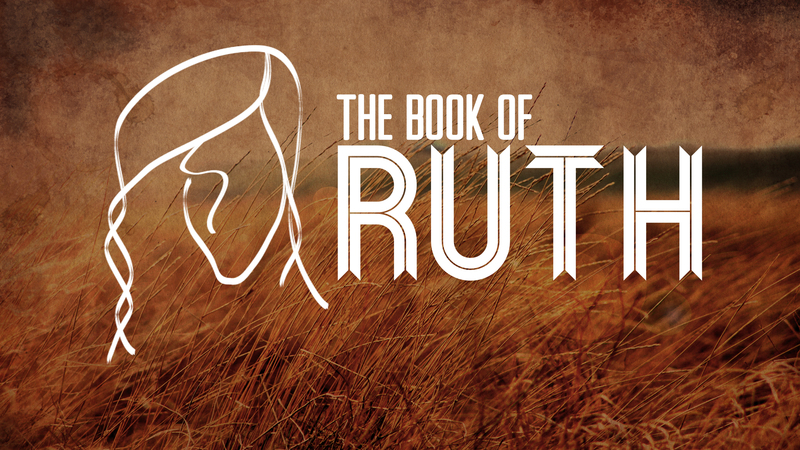 Boaz notices how qualified Ruth is to be allowed to glean and welcomes her with a blessing (2:12). The rest of the day, Ruth continues to glean until Boaz welcomes her to his table to eat (Ruth 2:14). She eats her fill and sets out again to continue gleaning. When Boaz notices her leaving, he tells his servants to leave extra sheaves for her to glean (2:15-16). As if he hadn’t already fulfilled the law enough, he goes the extra mile and provides extra barley for Ruth to glean. Boaz seems to really care for Ruth even though she is a stranger- yet another reason why he is called worthy! Ruth continues to glean until dark and returns home to Naomi (Ruth 2:17-18). Loyalty would be an understatement to describe Ruth’s character at this point in the narrative. She not only leaves her hopes of finding another husband in Moab and having a family, but she works hard all day until evening in a strange land just for an ephah of barley for her and Naomi! Ruth is starting to sacrifice her needs in order to care for Naomi. She then returns to her mother-in-law, who inquires of where she gleaned. Ruth tells her with whom she had worked and his name. Naomi blesses Boaz for his gracious hand and she recognizes him as a close relative (2:20). Things are starting to come together now as Boaz is mentioned as a relative to Elimelech in Ruth 2:1 and as a ga’al in Ruth 2:20. The thought of being a redeemer probably hasn’t occurred to Boaz at this point, but Naomi seems to be putting the pieces together. Ruth tells Naomi that Boaz told her to keep close to the young men of the field, but Naomi commands her to stick to the young women (2:22). This is a curious command made by Naomi, who seems to contradict Boaz’s request. Naomi seems to be skeptical of Boaz’s ability to protect Ruth, so she wants her to be safe among the other women servants. Ruth obeys without any questions asked (2:23). This is more of a running commentary of the events that take place in the Book of Ruth, but that is really my purpose. I am not trying to write new and cool ideas from the text, but simply give you all an interpretive summary, verse by verse, of what is going on and why! Tune in next time for Part Seven!